The Joint Universities Preliminary Examinations Board (JUPEB) is a national examinations body approved by the Federal Government of Nigeria in December 2013. JUPEB was established in April 2014 by a consortium of ten (10) partnering universities led by the University of Lagos. JUPEB programme is like the popular Interim Joint matriculation Board (IJMB) which is moderated by the Ahmadu Bello University. JUPEB has coordinating body in various tertiary institutions and different affiliated study centers nationwide. Government Approved: JUPEB is fully approved by the Federal Government as a foundation/advanced level programme for securing direct entry (DE )admission into higher institution in the country and some universities abroad. Prospective JUPEB candidates after applying for the programme are required to select any 3 JUPEB subjects that are related to their preferred university course of study. After successful admission into any of the JUPEB partnering institutions, the candidates would be exposed to an intensive lectures based on their chosen courses for one academic year divided into 2 semesters. After the 9-month of studying, the JUPEB candidate will write a final examination ( the same exam nationwide) After the JUPEB final examinations. Successful candidate would have to obtain a Direct-entry form from JAMB to apply for admission into 200 level of any of JUPEB partnering universities or other universities that accept JUPEB certificate. NB: Fees can be paid gradually upto 3 times installment if so desired, while hostel accommodation is optional. Applicants must have minimum 5 credit passes in not more than two sittings of any of the ordinary level exams; SSCE/GCE by WAEC, NECO or NABTEB which must include Mathematics & English Language. Applicants awaiting the release of their ‘O’ level results CAN also apply by indicating their “Awaiting Result” status appropriately while filling the online application form. The Online application form must be completely filled with accurate information to avoid being disqualified. The programme can be applied for in any of the affiliated universities, prospective candidates are to visit the official website of the interested universities for registration instructions. However, interested candidates can as well register with us to any of our partnering affiliated universities. To register with us, candidates are required to follow the procedures below. ⇒Candidates are to fill and summit a pre-registration form provided at the right pane of this page to indicate their interest for the proposed programme/examination. ⇒ Thereafter, candidates are to proceed to pay the application fee of N10,000 ( Ten thousand Naira). Kindly use the details below for the payment of your application fee. ⇒Subsequent upon Direct Bank deposit, candidates are expected to summit their payment details (which includes Depositor name, Teller number or Transaction ID, Date of payment, Account number paid to & Phone number) via sms to for validation. Thereafter, candidates will receive a text notification immediately submitted Payment details has been Validated. ⇒Candidates can return to the REGISTRATION PAGE to edit/complete their previous entries or otherwise review and print their submissions. Please ensure that you click “FINAL SUBMISSION” before printing. 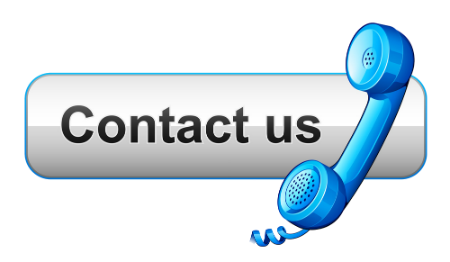 Kindly use functional e-mail addresses and telephone numbers to enable us reach you whenever the need arises. ⇒Candidates are expected to proceed to the study centre for clearance and resumption on the date stated on their confirmation text. Ensure you enter correct details. For quesions, call 09038469227. What is JUPEB Official Website? The official JUPEB website is http://www.jupeb.edu.ng . Any website or organisation who claims to be JUPEB official website is simply fraud!. We at Brainfill Academy is a accredited educational centre and we only register students for JUPEB admission into JUPEB partnering institution that we are affiliated to. Why do we have differents JUPEB websites online? It shoud be noted that JUPEB is moderated by University of Lagos (UNILAG), thus in a way to spread the operation ability and acceptability of the programme, It thereby gives affiliation to different other institutions among learning centers nationwide which come up with various website for promotion and registration of students for the programme. However, not all these study centres or website(s) are accredited or affiliated to be operating the programme. Thus we advise any prospective candidate to do their registration by themselves at their preferred JUPEB partnering University or Register through us. How do i know genuine JUPEB website? Apart from the official website and the official websites of the affiliated universities, any other websites who claims to be JUPEB official website is only looking for victims to scam. Any website who fails to carry a registered brand name is scam. Do not deal with them! Why do we have so many JUPEB examination failure? This is caused by applicants refusal to study in the right learning center either due to Ignorance, distance or financial budget. I already applied for JAMB, can i still apply for JUPEB? Yes, this give such applicants multiple choice of admission. How guaranteed is the admission into 200level? Basically, JUPEB is for the serious students, as yearly more than 90% of students who registered with us succesfully secure admission into their preferred university and course. Hence, our partnership with differents institutions gives our applicants higher advantages. When am I to pay my tuition fee? Tuition fee are to be paid either partly or in whole at applicant respective choosen study centres upon arrival for clearance and/or resumption. Thus, we encourage applicants to have financial possession of their fees before the clearance and/or resumption date on their registration printout. How do I report JUPEB scam or fraud? Wellspring University, Irhirhi, Benin City.